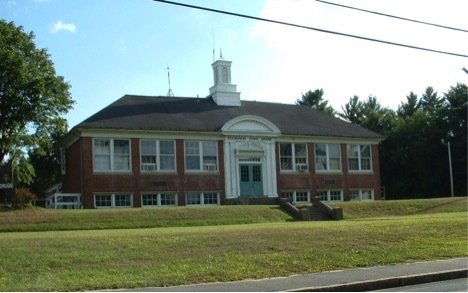 Old Colony Heating, Air Conditioning & Plumbing is proud to serve the Plympton community! Plympton, Massachusetts is a Plymouth County town with only about 3,000 residents. This community was first settled in the 1660s, and it was officially incorporated in 1707. Historically, Plympton is known for being the home of Deborah Sampson, a woman born here in 1760 who is famous for pretending to be a man in order to fight in the American Revolution. Plympton is bordered by several similarly-sized communities, including Halifax, Pembroke, Kingston, and Carver. This community is located approximately 35 miles south of Boston and to the east of Providence, Rhode Island. Plymptom is a small town, but there are a few notable places to visit when passing through the community. Flower and plant lovers might like to visit Sunrise Gardens, while hunting enthusiast might prefer to browse the racks at Outback Arms. Just Right Farm is a popular neighborhood destination, as this working farm offers excellent farm-to-table dinners. In addition to Just Right, there are a couple of other popular farming destinations in the community – Sauchuk Farm and Corn Maze and Mayflower Cranberries. If you are planning to spend some time outdoors in Plympton, you’ll want to be prepared for whatever Mother Nature throws your way. Most outdoor recreational activities will be enjoyed during the spring and summer months, and while the spring might be warm, the season usually gives way to a tumultuous summer. In addition to hot temperatures and high humidity, severe thunderstorms are also common during this season, and residents will rely on their central air conditioning units to stay comfortable at home. During the winter months, it is important to have climate controls at home. A heat pump or furnace will keep indoor temperatures warm while also ensuring that home heating costs stay affordable. When overnight lows fall below the freezing point, these systems are mandatory in order to ensure that indoor conditions are safe for the entire family.